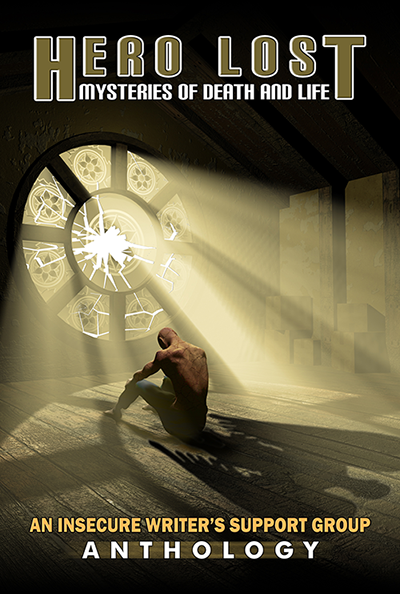 Today, I’m interviewing another of my co-authors from our fantasy anthology Hero Lost: Mysteries of Death and Life, hosted from The Insecure Writers Support Group and graciously published via Dancing Lemur Press in May of this year. The theme for this year’s anthology was a lost hero, and it’s been fascinating to discover how twelve different writers approached all the many things those two words invoked. After he kills a man in a bar fight and runs away from the scene, Ethan Klaussen, a wily engineer, must revisit his hometown and discover his memories long buried, the links to his magical past. But when the town’s childhood fairytale proves real, and the Wheat Witch seeks his help to rebuild the town, will he choose to live forever with a witch, or pick the law and do the right thing? Welcome, Erika Beebe, author of The Wheat Witch! Hi, Erika. Tell me, what sparked your idea of a lost hero? I’ve always loved superheroes. I was the little girl with the big mind and lots of places to go. As early as four, I was jumping couches in the basement, fists out with my imaginary red cape fluttering behind me, yelling “There’s no need to fear, underdog is here!” Heroes give me hope. In some of my darkest days, I’ve always believed to look up and dream. It’s my foundation of the hero. Life gets dark. Find your strength and climb up. Keep climbing. Those people, “heroes,” who matter will see your pain and climb with you. I think the balance of the backstory with action. Sometimes I have so much of the backstory in my mind I forget to write it all out. I’m scared sometimes to write it all out. We hear so often, don’t tell me. Show me. Backstory is a memory. It’s also a scientific art to figure out how to place it where you don’t show to much, but you also create some form of action to paint the picture. What is your preferred genre to write in? Why? 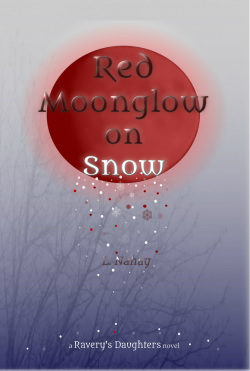 Urban fantasy Young Adult, or as they call it now, Comtemporary YA? I love real life with a sparkle of magic. Real life on its own can be too much at times. I like to escape. Is there a theme to your writing as a whole/What is your writing strong point? (writing believable characters, writing plots, building worlds, emotion etc)? I want people to always believe there’s a little light in the darkest of moments. I write deep themes and then show how the character fights them, until they learn to believe. Characters are my strong point. I dive into them, breathe life into them as if I were living in their minds, imagining all the things they would. Yikes! That’s a hard one to pinpoint. I think my preference changes over time. I love Mark Twain’s What is Man for comic relief. But for enjoyment, some of my favorite reads have been Angel YAbooks like L.A. Weatherly’s Angel Trilogy, Becca Fitzpatrick Hush, Hush Series, and to break the mold, I thoroughly enjoy Holly Black, The Coldest Girl in Coldtown. Studying her wordsmith helped me become a stronger writer. Was there something about the prompt ‘Lost Hero’ that grabbed you? Nope. I just love heroes. If your lost hero had a theme song, what would it be? My hero’s Theme song? I think it’s a toss up. Fortunate Son by Credence Clearwater Revival seems to be the strongest choice for him. But I could also see Mrs. Robinson by Simon and Garfunkel as a choice in honor of his mother. Connect with Erika via Facebook, her website, Twitter, Instagram, Tumblr, and her Facebook Inspiration Page. Want to know more about Hero Lost? Click on over to our Hero Lost homepage to get a taste of the other stories and writers. You can then purchase via Amazon at this link. Curious about the Insecure Writers Support group? Check out our website, Facebook Group, and Twitter. Please be sure to visit Dancing Lemur Press! Posted in Hero Lost: Mysteries of Death and Life.Tagged anthology, book, dancing lemur press, ebook, Erika Beebe, fantasy, Hero Lost, heroes, insecure writers support group, lost, May 2017, novel, read, Short stories, short story, write, writers. You’re welcome! Sorry it took so long!